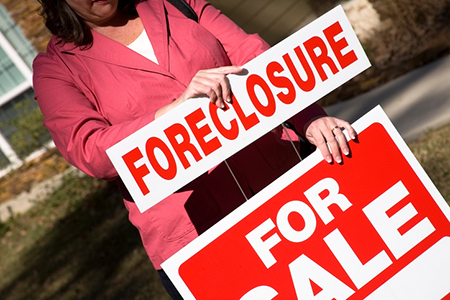 While foreclosures decreased nationally at the end of last year to a 12-year pre-recession low, there are areas of the country which are showing sustaining, repeating, or increasing foreclosure activity. This may be due to differences in the way specific regions are recovering from the Great Recession, or because of more recent impacts to local economies driven by things such as changes in oil prices. A surprising development in 2016 was a spike in foreclosures of reverse mortgages that is still being evaluated. And even while foreclosure rates have declined overall, there are still 1.4 percent vacant residential properties nationally that have either been abandoned by their owners during the foreclosure process (so-called “zombie” foreclosures) or are bank-owned—especially in Mississippi, Michigan, Indiana, Oklahoma and Alabama. Banks are eager to get rid of these properties to help ease low inventory concerns. Knowledge of distressed property transactions is a skill that certainly gains prominence when the national economy is struggling (as it has been), but holds value at all times. It is a perennial skill. There will, unfortunately, always be areas of the country experiencing a downturn. There will always be former and future clients in your market who may face individual hardships over the years and will need your help at a difficult time. You will want to be ready for these situations. This month’s featured online course at the Center for REALTOR® Development is the Short Sales and Foreclosures: What Real Estate Professionals Need to Know course, which leads to the Short Sales and Foreclosure Resource® (SFR®) Certification. The course supports the ongoing demand for real estate professionals who know how to successfully navigate distressed property transactions for sellers and buyers. The curriculum for this course was developed by a team of three subject matter experts, knowledgeable REALTORS® and national instructors with short sales, foreclosure and REO experience. The course was designed to cover the following topics: counseling sellers and buyers; creating an effective short-sales package; and working with foreclosed and REO properties. The course and certification give you a framework for understanding how to direct distressed residential property transactions with confidence and compassion; both offer downloadable and digital resources that you can retain and access when you need to brush-up on any of the information as the need arises. To learn much more about distressed property transactions, please consider checking out the education, benefits, and resources offered by the SFR® Certification. In December, the featured 25% OFF course at the Center for REALTOR® Development is the Short Sales and Foreclosures: What Real Estate Professionals Need to Know course, which is the basic requirement toward obtaining this credential.